Our remote Australian Territories is home to a place so delightful in both looks and temperament that, on the very first sighting, one’s jaw does genuinely drop. With rainforest walks, natural pools and coral reefs to explore, they are a little-known gem of a destination that you need to visit. These are Aussie travel secrets Territories. It’s Australia’s Galapagos: 63 per cent national park, home to birds, crabs and amazing reefs! We were the first company to run photo tours to this stunning tropical paradise and have sold out every year since 2014! The island’s spectacular red crab migration is described by Sir David Attenborough as one of the world’s top 10 natural wonders! Our guests are unable to believe that so few people know the real Christmas Island. It’s just so diverse and unspoilt – full of rare and unusual birds, incomprehensible numbers of crabs, waterfalls, turtle-nesting beaches and some of the world’s best snorkelling over crystal-clear, warm, tropical reefs, with resident dolphins! We seek out the world’s most extraordinary wildlife, landscape and cultural experiences then take small groups on tours there. Our friendly, professional photography guides are on hand to help you improve your photography ensuring you get the best possible shots. Run by Australian Geographic photographer Chris Bray, the island is one of his favourite Australian destinations; he moved there this year to start building a luxury eco-lodge, ‘Swell Lodge’. Beachcombers Cottage is an absolute waterfront property, offering spectacular views of the Indian Ocean just 30 metres from your doorstep. 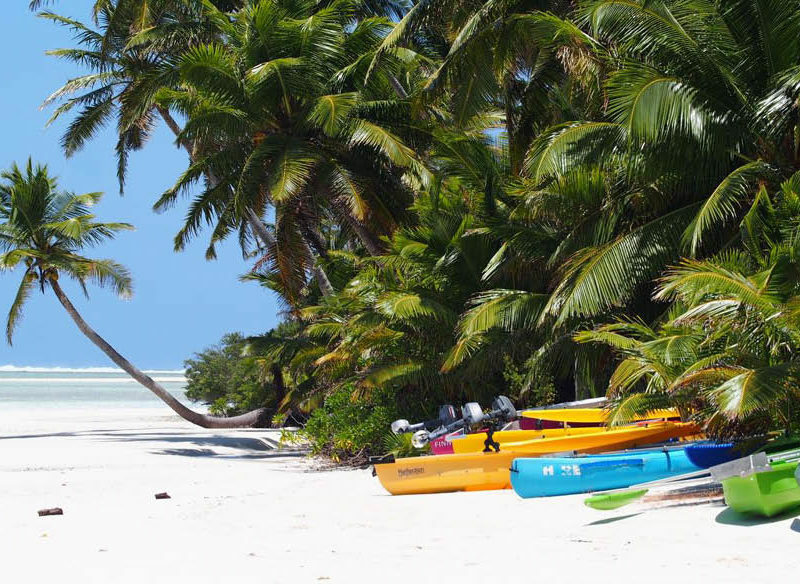 THE IDEAL CHOICE for groups of up to eight people seeking to explore everything the Cocos Keeling Islands have to offer, Beachcomber Cottage strives to offer its guests an all-inclusive experience. Bikes, kayaks, paddleboards and fishing gear are all included, so all you really need to bring is a T-shirt and a pair of shorts! Recently renovated, Beachcombers Cottage offers a holiday house with all the luxuries and modern conveniences of home. FOR AT READERS: Book 10 days, pay for eight! Save $1100. Hurry, limited to the first five bookings only. Cocos Castaway; just a coconut throw from the Indian Ocean. COCOS CASTAWAY’S STYLISH ocean-side, self-contained accommodation is located on West Island on the beautiful and remote Cocos Keeling Islands, the ‘Jewel of the Indian Ocean’. This exclusive complex provides a private and relaxed atmosphere with the majestic Indian Ocean right at your back door. The up-to-date facilities allow you to live in comfort at yesterday’s pace. Imagine sitting on your verandah taking in breathtakingly beautiful sunsets whilst enjoying the balmy tropical evenings. If you enjoy kitesurfing, have a chat to Graham Flynn, who, along with Annelies, is the owner of Castaway. Graham, at the age of 70, still enjoys world-class conditions here and is happy to share tips on where to go to enjoy this amazing sport. Disconnect. A secluded, fun holiday with a stunning outlook, space and relaxation. CONSIDERED by many to be the best accommodation on Australia’s Cocos Keeling Islands, these fully self-contained, architecturally designed cottages have uninterrupted views across the lagoon. Their open design captures the almost constant sea breeze throughout the year. Singles, families and group bookings can be taken for unsurpassed comfort, class and unplugged luxury. Enjoy a glass of grenache on the large undercover deck to the sound of the distant roar of the ocean, watching the moon rise over the lagoon into a starry sky. Oceania House is the heritage-listed, former family home of the ‘Kings of the Cocos’; now you can stay here! EXPERIENCE A REAL cultural difference by staying on Home Island, and enjoy the luxury of a by-gone colonial era, staying in the most prestigious building in the Indian Ocean. Decorated with antique furniture, Oceania House presents over-sized rooms of grand proportions and offers unparalleled views across the lagoon with it being set only metres from the beach. End your day with pre-dinner drinks, watching the sun sink into the lagoon, followed by a formal dinner in the beautiful dining room.